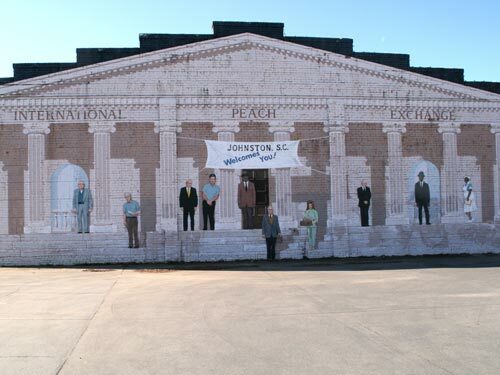 The ongoing struggle with property maintenance within the city limits of Johnston received another very high billing on the Town Council agenda last Monday night. Ms. Brinalynn Burt, owner of property on Bland Street, described the lot across the street from her house as Jurassic Park. The concerned citizen spoke of all types of forest creatures frequenting the coppice near her residence and spoke of her concern for her safety and those who lived nearby. She went on to declare the mosquito situation unbearable and advised Council that her garbage cart was beyond any possibility of repair. Councilman Burton reminded all concerned that the subject piece of property had been completely cleaned up eight years ago and failure to maintain it had resulted in the situation at hand. Mayor Livingston advised the concern citizen that the town would look into the potential hazard presented by the lack of property maintenance described in her presentation. He also cited the town policy requiring citizens to purchase garbage cart replacements. A second citizen pointed out two perceived tree hazards in the vicinity of Gibson Heights. She was advised to contact the South Carolina Highway Department in regard to one of the trees and South Carolina Electric and Gas for the other. Council rejected a zoning change request from Christ Church that would have resulted in a single-family area going to multi-family usage. Mayor Livingston told Council that he was preparing a request for proposal in regard to streetscape to be presented to Council for their approval. A request for funding of maintenance for Mt. Olive Cemetery precipitated a lengthy discussion of precedent setting as well as equitable consideration of other like entities. The debate culminated with a decision to authorize $1,000 dollars for maintenance of Mt. Olive and $1,000 for maintenance of Mt. Nebo. Mayor Livingston then presented for discussion a plan for partnering with Edgefield in garbage collection operations. The Mayor stated that Council in Edgefield had not yet addressed the plan so that the discussions now were preliminary. The options presented in regard to subject partnership was immediately subjected to numerous questions and comments associated with previous efforts at teaming with municipalities to accomplish town operations. Councilwomen Miller requested more time to study the options presented and suggested a meeting with both councils in attendance for the purpose of addressing detailed questions. Councilman Burton stated that his preference was to remain self sufficient and Councilman Culbreath encouraged his counterparts to go ahead and purchase the new garbage truck. Council will continue its deliberations of garbage collection. Councilman Burton praised the Fire Departments continuing proficiency in protecting the town. Councilman Nicholson voiced concern over town employees failure to report to work and suggested that disciplinary action be taken against those who are obviously taking advantage of the town. Mayor Livingston displayed an award presented to the town for its safety record by Municipal Insurance Trust. The award included a $2,500 cash award. He also brought the Edgefield County 1% sales tax increase to Council’s attention and asked them to submit names for consideration to serve on the county committee charged with selecting projects to be paid for with this additional revenue. The Mayor also stated that he was in discussion with a private contractor in regard to mosquito spraying and that he planned to bring a grant proposal to Council that would provide matching funds for town merchants to use in improving the outside appearance of their businesses.